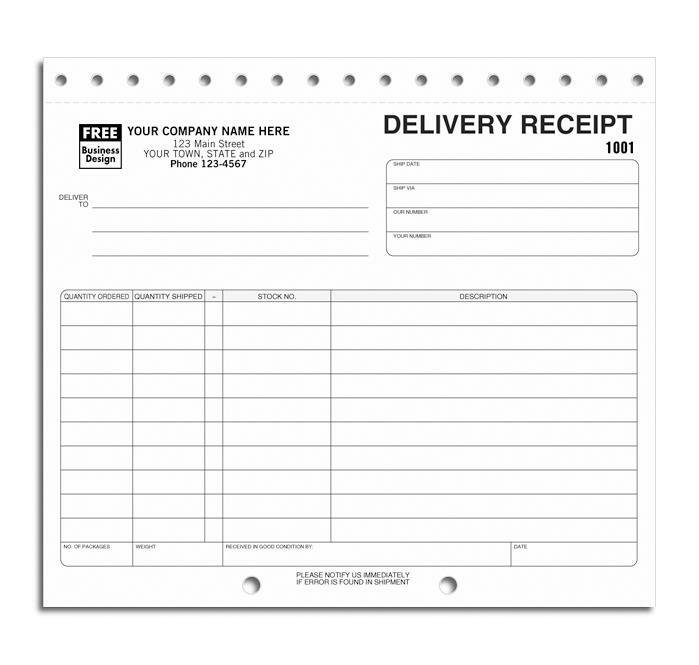 Receipt Books are printed 3 to a page in 2 or 3 part formats. You can easily customize your company information, add a logo, company name, address and more. Write up cash payments with ease. 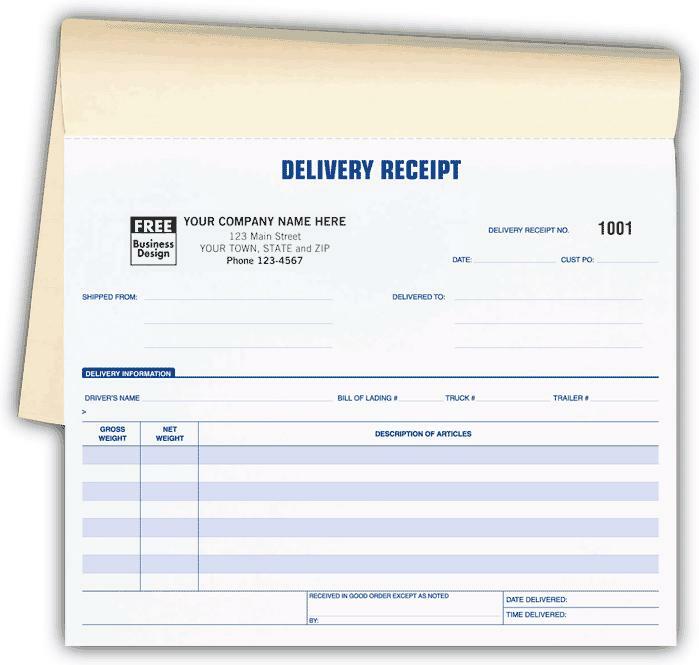 The carbonless paper allows you to leave the last copy of every receipt in the book for record keeping. 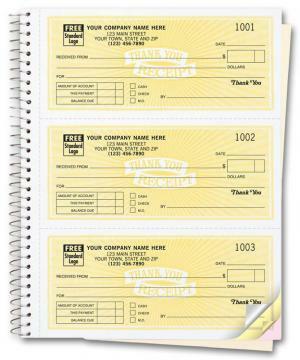 We offer a wide variety of custom printed rent receipt books, personalized with your business information. 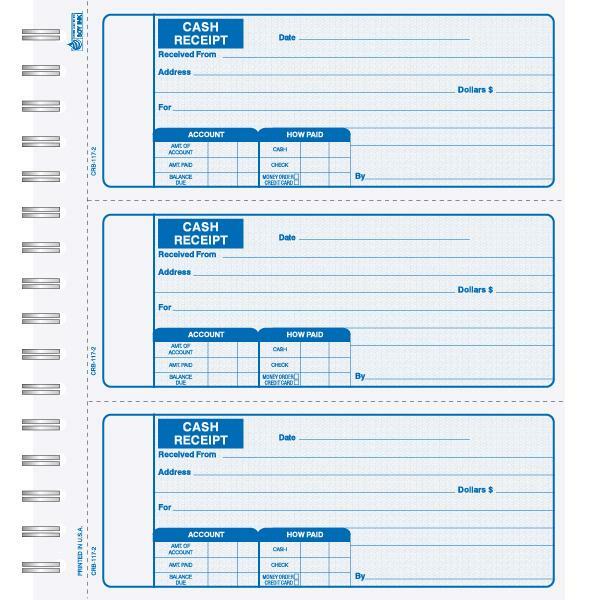 A cash receipt book is a type of financial journal that is used to collect information from all of the cash receipts made to a person or a business. 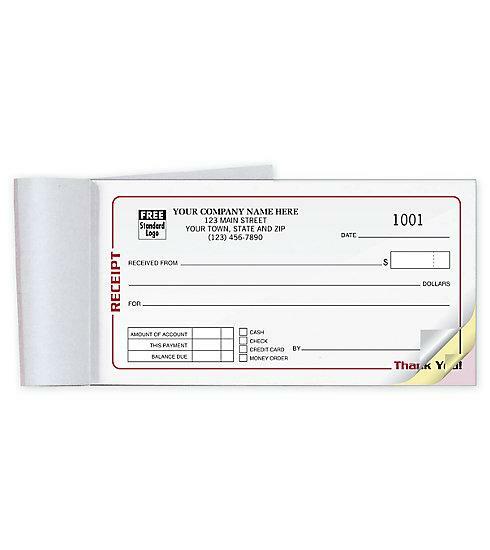 This helps an individual or a business to keep their records of all of their cash receipts. These can be used by businesses of all sizes, from individual entrepreneurs to large companies. 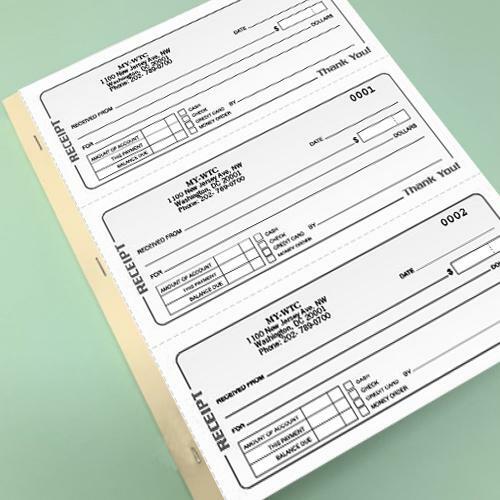 The information recorded in the cash receipt book is usually then added to a general ledger or to whatever type of accounting software you are using. 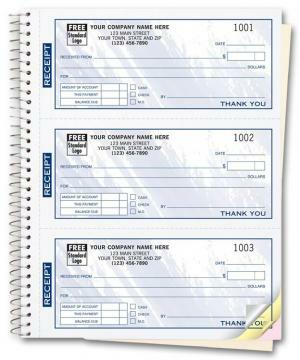 They can help a business to keep their cash receipts nice and organized and to make sure they do not lose anything important. Your customer looks forward to getting a receipt for all cash transactions and it also helps to build trust. 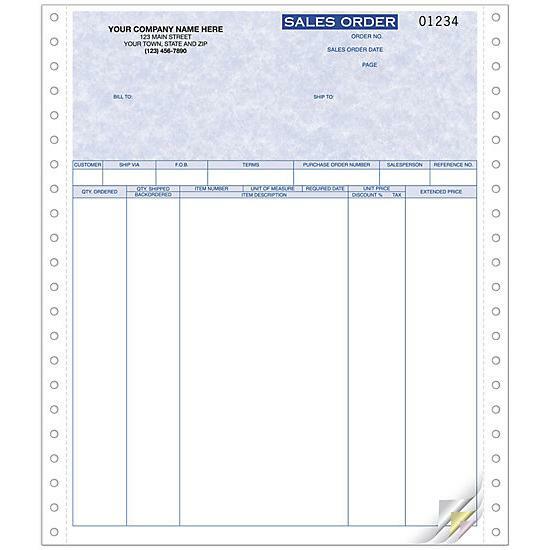 These are general receipts that can be customized and used by just about any type of organization including a church, school, insurance companies, rental agencies, retail shops, grocery stores and more. They can also be used by any professional or individual. Landlords use them when collecting rent, handymen use them to complete small projects. You can place your order online by submitting your information for personalization or you can request a price quote for a fully customized receipt. Customization includes a variety of ink colors, full color processed, perforations, numbering, Small or large size books, the number of parts or pages per book etc. 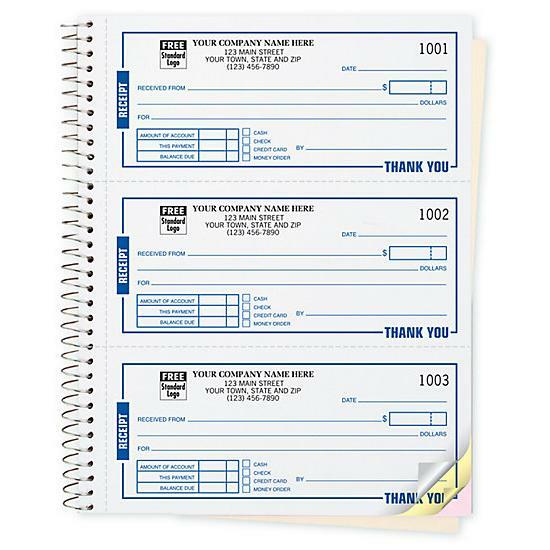 When a custom receipt book is printed with your logo and business information, it helps to promote your business and build brand identity. 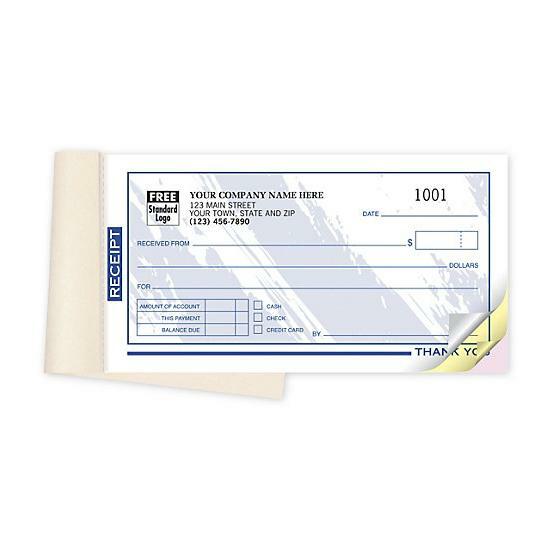 Every receipt issued to a customer is also promoting your business. This is why many small businesses and professionals chose to customize their invoices, work orders, and receipt books. You have many options for customization that will ensure uniqueness and separate you from the competition. 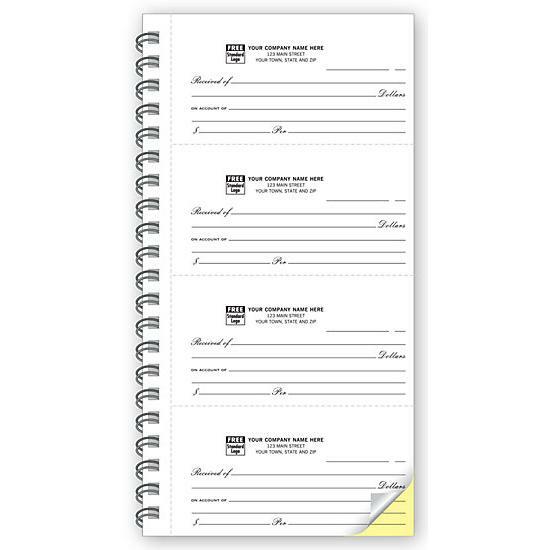 This includes different font choices, ink colors, receipt books size, shape, perforations, integrated products like labels, or a totally custom design made from scratch. We can create the custom design and take care of all the printing.